2. Select the assignment that you would like to grade. 3. 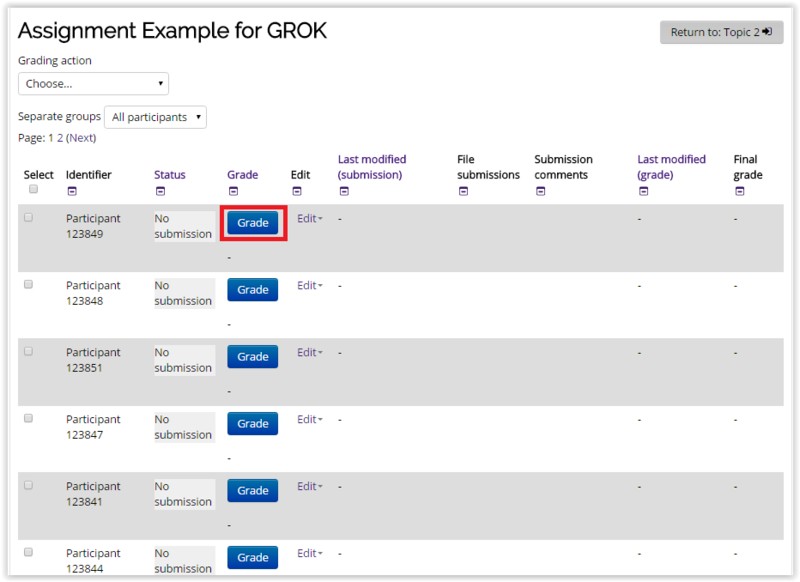 Click View all submissions under the grading summary options. 4. 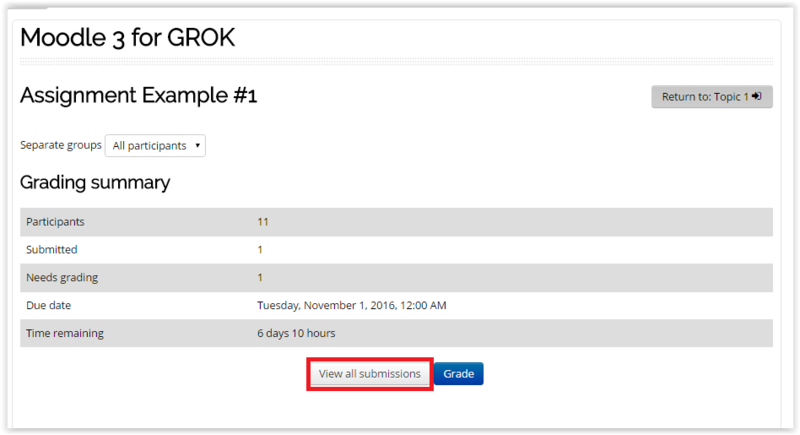 To grade each assignment, click on the Grade icon for each individual student. NOTE: The students are identified by a set of randomly selected numbers. The students' names will appear in place of the numbers after the blind setting is turned off.